What is the Age Pension? The Age Pension is a safety net for people of eligible age who are not able to fully, financially provide for themselves, in retirement. It ensures that qualifying people have sufficient income to meet basic living expenses. The Age Pension provides a level of security for those who have not been able to provide adequately for their financial needs in retirement, regardless of the circumstances that have left them in that position. The Age Pension is a government-funded income support benefit distributed through Centrelink, the social welfare agency administered by the Commonwealth Department of Human Resources. At what age do you become eligible for the Age Pension? Males: To qualify for the Age Pension, must be aged 65 years or over (until 2017, from when new rules will apply – see below). Females: Previously eligible from age 60, now qualify at different ages over a graduating period. By January 2024, the same age entitlement will apply to both genders. Depending on your birthdate, from 1 July 2017 age pension age will be 65 years and 6 months. Who can receive the Australian Age Pension? Was getting Widow B pension, Widow Allowance, Partner Allowance, or Mature Age Allowance immediately before reaching Age Pension age. How does Centrelink decide who is eligible for a pension? A person’s Age Pension entitlement is calculated by Centrelink after applying an income and asset test. The amount of Age Pension a person will receive is the lower of the entitlements calculated by reference to these two tests. The Centrelink rules provide specific definitions of assets and income and it is important that these rules are understood before applying. Important Note: From 20 September 2007, the asset test has been adjusted such that for every $1,000 of assets in excess of the threshold (your threshold 2 depends on your marital status and whether you own a home), your pension entitlement will reduce by $1.50 per fortnight. For example, at the time of writing a homeowner couple can have assets of up to $891,500 3 outside the family home and still receive some age pension. How much pension do I get? The maximum rate of age pension is $575.80 per fortnight for a single person and $478.90 per fortnight (from 1 July 2009 to 20 September 2009) for each qualifying member of a couple (these figures include pharmaceutical allowance). As mentioned above, this is reduced by application of either the income or asset test, whichever results in the lower entitlement. For updates to these amounts (which occur on 20 March and 20 September each year), refer to the relevant Centrelink website page and click on the ‘Payment Rates’ under the ‘Eligibility tab on the left-hand menu. Can a financial planner help me? 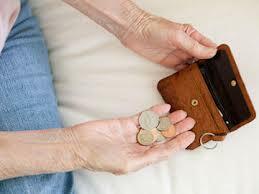 Whilst there are many situations where financial planners can provide help in these matters – and should be involved if you have assets and/ or income that could be ‘restructured’ in advance of making the application to Centrelink for the Age Pension, you should be aware that they do provide a service whereby eligibility and benefit entitlement can be determined. By engaging an experienced adviser from Continuum Financial Planners Pty Ltd well in advance of needing to apply to Centrelink, your affairs may be able to be structured to ensure that you obtain the greatest Age Pension benefit entitlement, without risking long wait-out because of gifting and deeming events. ‘we listen, we understand; and we have solutions’ that we deliver in personalised, professional wealth management advice. 1 Subsequent governments have proposed changes that are reflected in the Table shown. Readers should check that this is still current by going to this link on the Centrelink website. 2 The thresholds are tabled in the article Income & Assets Test, linked above in this section (i.e., go to Centrelink website page and click on the ‘Payment Rates’ under the ‘Eligibility tab on the left-hand menu). 3 This amount is indexed twice annually – in March and September: for the latest amount, visit the Centrelink website payment rates page.